A lot of features has been added to YouTube app and many more still coming, recently Google added How to change Dark Theme on YouTube mobile to reduce resolution when using in the night, not long video autoplay roll out with subtitle feature showing at the home pages and finally allow YouTube live streaming which is absolutely nice an interesting. Now, your YouTube updated version will allow you to enjoy music streaming service which will be made available on Premium and Free version. 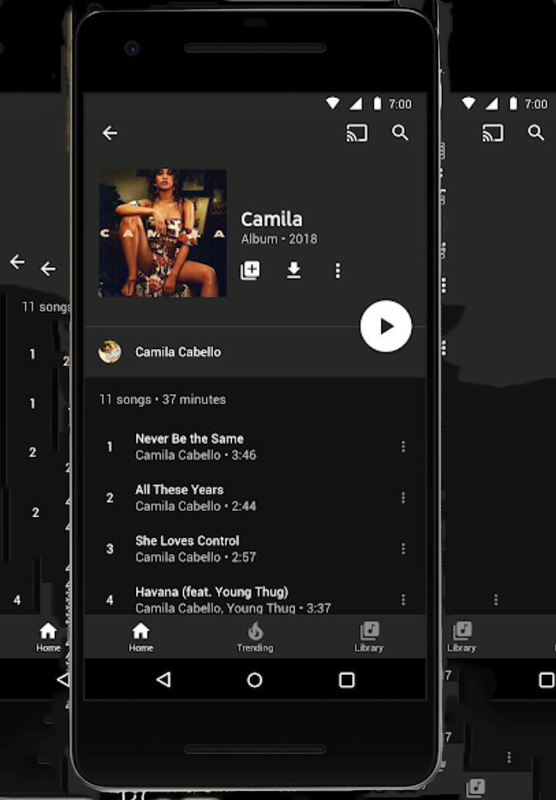 This service will cover you up on everything related to music, things like: Official songs, album, thousands of playlist and artist radio plus remixes, covers, live performances amd music video. As said earlier above, you have it in Premium as well as Free version but hope you know the Free version cannot be effective as Premium so know what best for you to go for. Even though if Free version will work effectively but know for sure that it'll come with ads while Premium will be free from ads. The interesting part of the story is that it's going to be availabe both on desktop and also mobile so if you are a Google Play Music or YouTube Red subscriber, it cause you nothing but if you are not a member and you plan to go for the bundle then you'll be charged $11.99 instantly for being a new member that's a just a token to say. Google hasn't dull for a moment, hoping to see more features rolling out soon. Mind you the service will start rolling out to some part of Europe, U.S, New Zealand, Mexico and South Korea this week 22nd of May, 2018 and before the end of this month we have it extended to other countries.